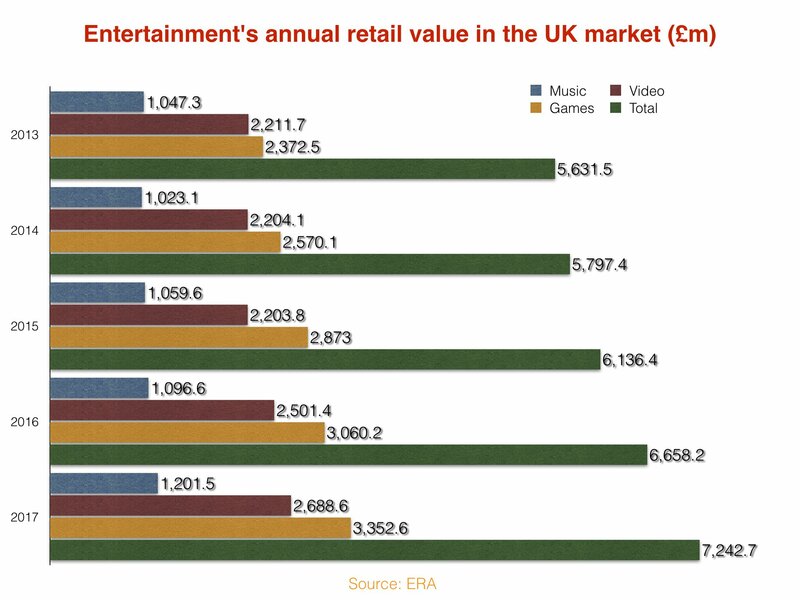 The UK’s recorded music business attracted more than £1.2bn ($1.5bn) in consumer spending last year – a jump of over £100m, or 9.6%, compared to 2016. The driving force behind this rise in retail revenues was subscription streaming services, which pumped £577m ($743m) into the British music business last year – up 41.9% year-on-year. 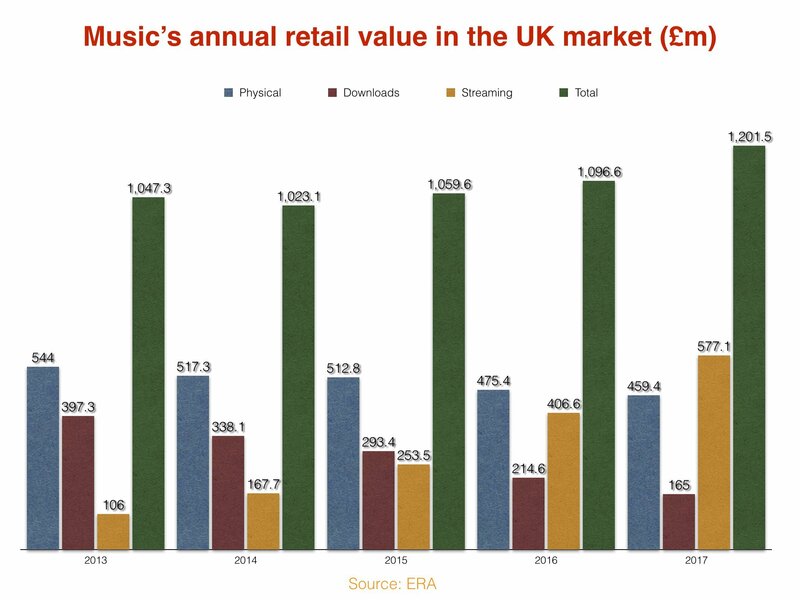 Physical music formats held up well in 2017, with combined retail spending on CD and vinyl falling by just 3.4% to £459.4m ($592m). Within this figure, vinyl album sales grew 33.7% to £87.7m ($113m). Download sales plummeted 23.1% in the year, however, to £165m ($213m) – less than half the retail value of the category just three years before.